US President Donald Trump and North Korea's Kim Jong Un met in Singapore on Tuesday. Donald Trump emphasized what North Korea has to gain by giving up its nuclear weapons. 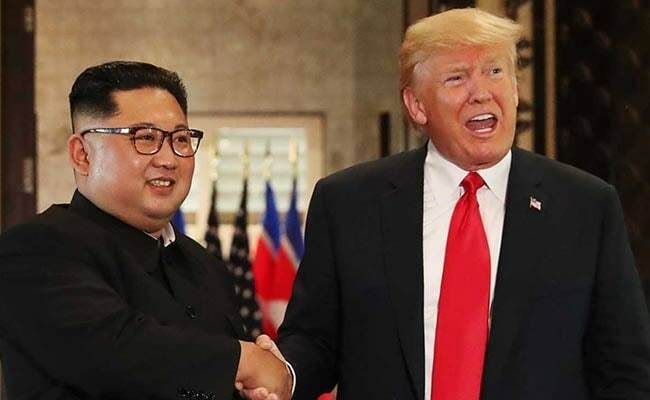 Donald Trump's summit with North Korean leader Kim Jong Un has helped bring the world back from "nuclear catastrophe," the US president said Tuesday.